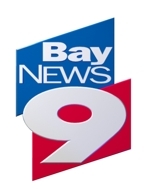 Yesterday I had the honor of being interviewed on Bay News 9 to talk about the state of the Tampa Bay Real Estate market as well as speak on a few bills that are in committee regarding the foreclosure process in Florida. Here’s a link to the piece on Bay News 9. Senate Bill 1666 sponsored by Sen. Jack Latvala, R-St. Petersburg is before the Florida Legislature today. Latvala’s bill would allow hiring retired judges in a temporary capacity to deal with the Florida foreclosure backlog. The court system already can hire back judges in a temporary capacity, but it can’t happen until after a year passes. The Senate proposal would eliminate the waiting period, and offer similar measures to protect folks who have been through the foreclosure process from creditors. The Senate bill, drops the period of time where a bank — or other lien holders — can try to collect losses from five years to one year. House Bill (HB) 87, also known as the “Fair Foreclosure Act,” is proposed as a means to expedite Florida’s lengthy judicial-foreclosure process. Those in favor of the bill argue that the bill protects borrowers by requiring banks and lenders to prove ownership of a mortgage before they can file any decision towards foreclosure in Florida. Borrowers would then be allowed 20 days to challenge the action. After a final judgment in foreclosure is reached, banks and lenders would only have one year instead of the current five years to go after borrowers for losses from a foreclosure. If passed, the bill would also allow third-party lien holders, such as condo or homeowner associations, to push foreclosures through a more rapid process rather than through the usual court proceeding. Another proposal, HB 1777, would create a homeowner bill of rights, like the one enacted by California’s legislature this year, in the event of late mortgage payments. The goal of California’s law is to protect homeowners from predatory lenders and further regulate lending practices. Since enacting new legislation in California, foreclosure filings are down 40%, leaving Florida now as the #1 state for foreclosure filings. Here’s hoping our government passes these important bills. The Tampa real estate market is on fire. With hedge funds and cash investors buying all the property in Tampa Bay it’s getting very hard for a buyer without cash to even get a nice home in a nice area. The sellers are getting multiple bids and taking the cash offers. As a Realtor I am telling my buyers this up front.